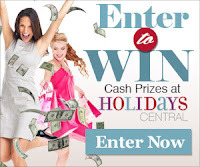 Browse » Home » Swagbucks » Swagbucks Carnival! At Swagbucks, there's an exciting promotion going on: The Swagbucks Carnival! The Swagbucks Carnival gives you an opportunity to earn bonus Swag Bucks each day just for earning the way you normally would. Check the meter on your homepage and you'll see you daily goal and how close you are to hitting it. Every day you hit the goal, you add to your bonus! As if that wasn't enough, you'll get additional bonuses based on how many days of the Carnival you're able to hit your goal! To top it all, Swagbucks is having a Swag Code extravaganza on Monday - that means lots of codes, lots of Swag Bucks and lots of fun! Don't miss it!